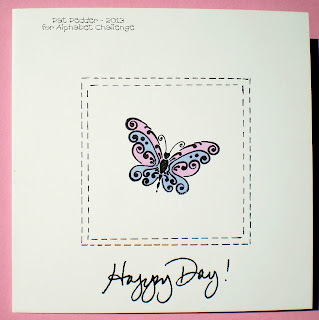 i love your framed butterfly! Pat love this card - so simple and elegant. Thanks for joining us at Sassy Studios. Well this is certainly clean, simple and beautiful! 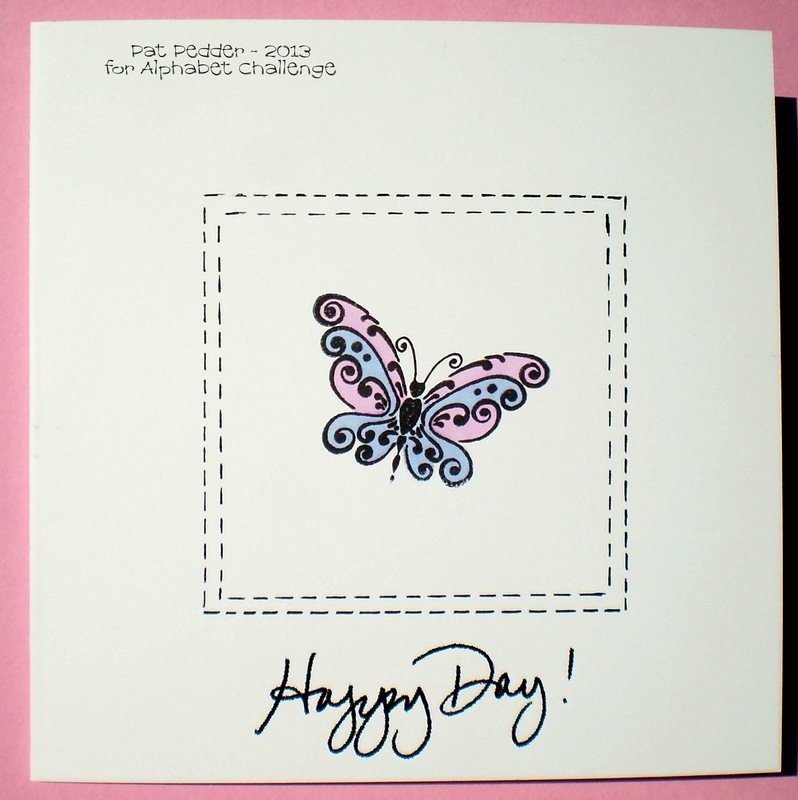 Wonderful clean and simple card, I love the sweet feel and gentleness of it. You selected a great image and the subtle colors work wonderfully on it. The simple sentiment and the bordering is perfect. Thank you for submitting it to us at Opus Gluei, we love to see what our themes inspire and this is a great CAS. I hope you come back for more fun with us! Wow that's one fabulous CAS card!!! Love it. Love it! You've totally nailed the theme! Thanks so much for joing us at Sassy Studio Designs.